The golden dragon returns to the wrist after an absence. 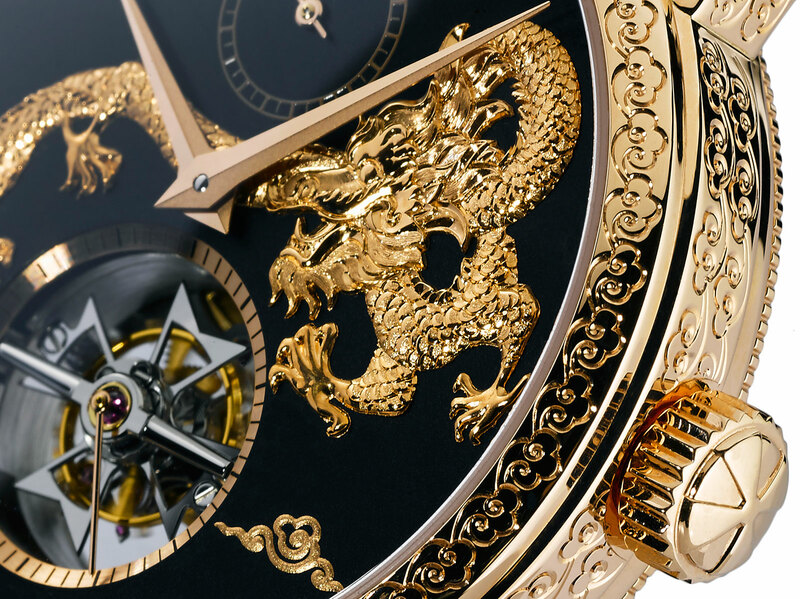 When China was still the overwhelming driver of growth in the luxury watch market, watches with dragon motifs were, to put it mildly, popular. But the crackdown on corruption in China having put an end to pricey gifts for officials, the high-end watch market in China and Hong Kong has been underwater since 2014 so such watches have generally been as scarce as the mythical reptile. 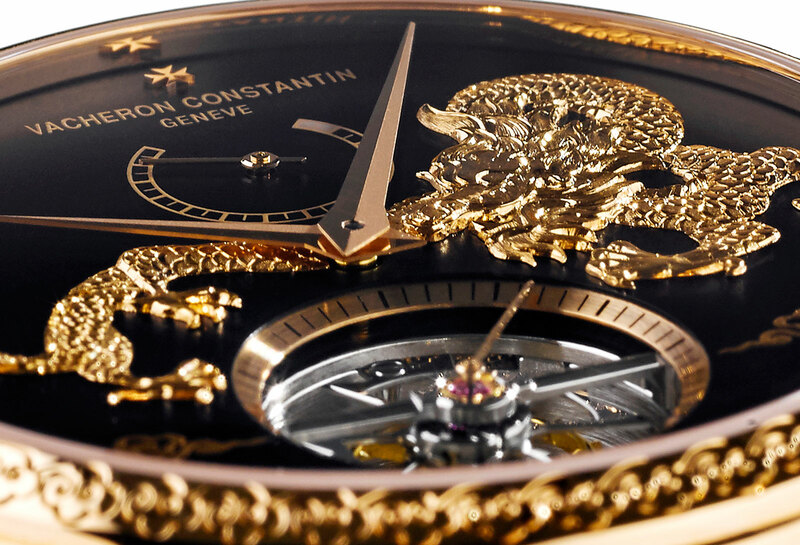 Vacheron Constantin is bucking the trend with the Traditionnelle 14-Day Tourbillon “Dragon”, an eight-piece limited edition featuring an ornately decorated dial and case. Based on the ordinarily plain Traditionnelle tourbillon, the Dragon has a jet black dial with a relief, hand-engraved dragon in the centre. The dragon is made of 18k gold, as are the two swirly cloud inlays. 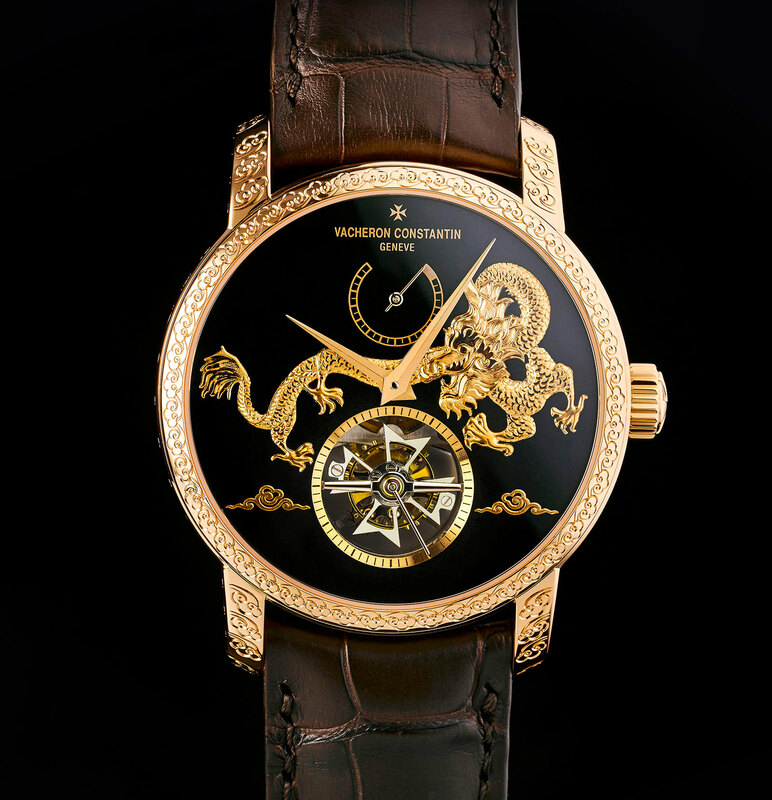 Typical of most dragon-theme watches, the created is depicted with five claws, a characteristic historically associated with the Chinese emperor, who had exclusive use of the five-clawed, all-gold dragon. 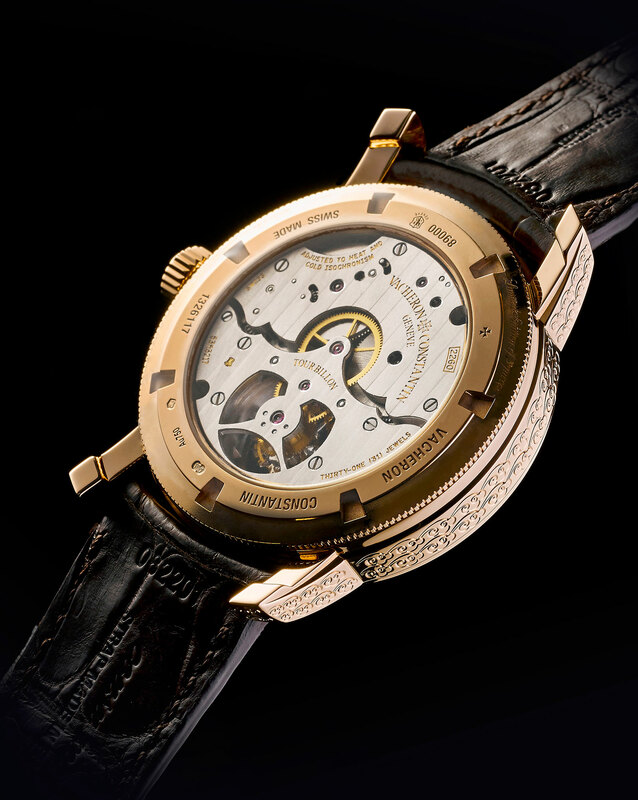 The 42mm case is pink gold and engraved with clouds on almost every surface, from the bezel to the flanks of the lugs. The cal. 2260 inside is identical to that in the stock tourbillon wristwatch: hand-wound with a two-week power reserve and certified with the Poincon de Geneve, or Geneva Seal, which dictates certain decorative and functional qualities. 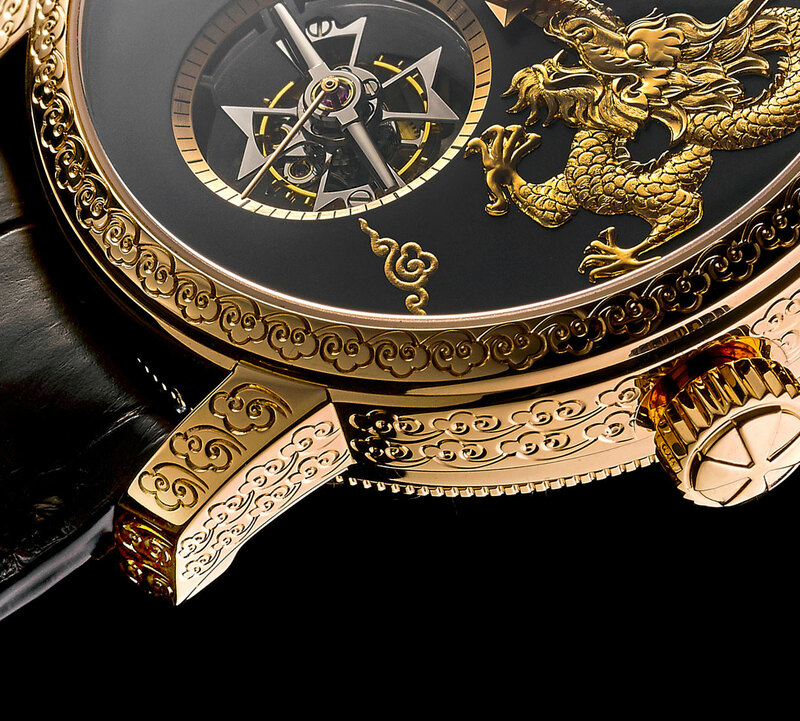 The Traditionnelle 14-Day Tourbillon “Dragon” (ref. 89000/000R-B258) is priced at S$411,200 in Singapore, including taxes. That’s equivalent to US$302,000. It will only be available in Vacheron Constantin boutiques in Asia.